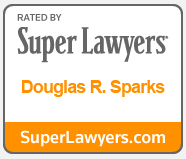 Douglas Sparks is among the most respected and experienced Washington, D.C. personal injury attorneys. He represents people who have been seriously injured or killed in pedestrian, bicycle, car, bus, and other accidents; victims of sexual assaults in hotels, schools, apartment complexes, and dangerous premises; families and estates in wrongful death actions; victims of prison assaults and police shootings; and criminal defendants. 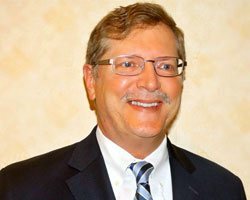 Mr. Sparks has handled thousands of cases with unflinching determination and passion for over three decades, winning tens of millions of dollars for his clients. He is tough, relentless, and thorough. His peers elected Mr. Sparks to the Board of Governors for the D.C. Trial Lawyers Association and to the Board of Directors for the D.C. Prisoners Legal Services Project. He has presented practice tips to trial lawyers, spoken at legal seminars, and testified before legislative bodies. Several of Mr. Sparks’ high profile cases have spurred implementation of systemic safety reforms. Television, print, and on-line news outlets frequently cover Mr. Sparks' cases and media members often ask him to comment on newsworthy legal matters. The Washington City Paper has called Mr. Sparks a “tough-as-nails D.C. attorney” and The Huffington Post has said he is a “prominent and distinguished” lawyer. Washington, D.C. personal injury lawyer Douglas Sparks understands that many clients come to him in desperate need of help. They may be suffering from painful and disabling injuries, mourning the deaths of loved ones, or facing imminent economic catastrophe due to medical bills and job losses. Always mindful that the results he achieves can profoundly impact his clients’ futures, Mr. Sparks works tirelessly to help people transcend their personal tragedies and to instill hope and optimism in those who had nearly given up. In short, Mr. Sparks cares deeply about his clients and treats them like friends and family. Mr. Sparks’ clients consistently give him superb reviews. They write that he’s “an exceptional attorney,” “kind and compassionate,” “holds himself to tremendously high professional and ethical standards,” is a "one in a million lawyer," and that “no lawyer works harder or cares more." Mr. Sparks received the Avvo Clients’ Choice Award in 2012 and the American Institute of Personal Injury Attorneys’ Client Satisfaction Award in 2014, 2015, and 2016. Clients often refer friends and family members to Mr. Sparks and stay in touch years after their cases are over. You are invited to scroll through Mr. Sparks’ reviews, read about his cases in the news, and learn more about his background. To discuss your legal matter with an experienced Washington, D.C. injury lawyer you can trust, simply fill out Mr. Sparks’ online contact form, send him an email at dsparks@sparkslaw.net, or call him at (202) 797-8200.